Jo (Design Kati Meyer-Brühl) reflects the principle of duality. 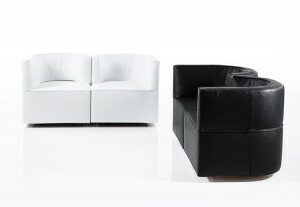 The compact, semi-open armchair with an elongated backrest either on the right or on the left, the wing-like sofa, and the connecting chair with short rest elements may be arranged in a wide variety of ways. Several elements of the same kind or various individual modules may be grouped together to form a suite. jo rests either on hidden gliders or on visible wooden feet, painted black/white or in natural beech, oak or walnut. 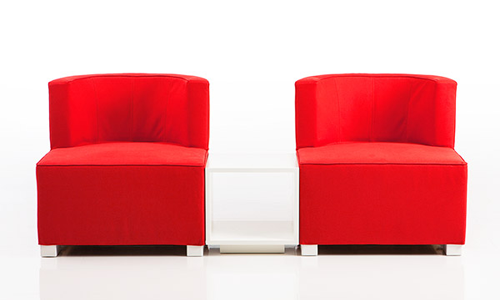 Armchair also available with a swivel base. Backrest and seat base covers separately removable. Cover material: fabric or leather.